The plan: Enjoying a hassle free trip on the Overland Track. Taking the right gear, food and having enough inside knowledge to make it hassle free. The reality: Heavy packs, wet gear and blisters and then eating 2 minute noodles and being cold. This is after spending days, pre-trip, working out all the complicated logistics of how to get there and back home. 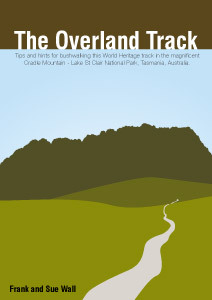 The Overland Track is an eBook designed to give you the skill and inspiration to tackle the Overland Track in Tasmania. Created by experienced multi day hikers, it is packed with tips and ideas to make bookings, preparation, planning, gear selection, packing and cooking meals easy. The great thing is it includes a comprehensive guide on how to juggle bookings, flights, transfers and accommodation and then helps you sort out gear and food. It is also current information, the latest update was March 2014. Hi Frank, Just made it back. A wonderful 7 day trip – with my daughter. A few aches and pains, nothing serious, lots of good memories and pics. This 60 plus page downloadable PDF eBook is written with the first time Overland Track hiker in mind. It is packed with inside knowledge and tips to help you plan and execute your trip. Why are we so proud of this eBook and believe it is a must read for anyone who is planning on walking from Cradle Mountain to Lake St Clair? Because it’s practical – It is written by two experienced people who love the Overland Track. We learnt the hard way how to organise our trips to Tasmania and get on the Track quickly and simply. We show you how to juggle flights, booking and transfers to the start and home at the end. There is a full packing list of what to take or leave at home. We have even included a menu plan and tips to stop the possums and birds raiding your food. Because it’s easy to read – we have kept the information clear and easy to follow. Broken into easy to read and logical sections, the book guides you through every step from planning your trip to deciding on what to eat or wear. Let us share our experience with you on this fantastic journey. The Overland Track guide is several chapters all packaged into one easy to read PDF. First aid kit suggestions, what we take and use. Tips to keep your pack weight down. Huts or tent? What we do and why. Frank and Sue Wall have hiked the Overland many times in the last few years. We love the Cradle Mountain to Lake St Clair area in Tasmania and have shared many of our adventures through Our Hiking Blog. Based in Geelong, Victoria, we try and hike the Overland Track at least once a year and visit Tasmania as often as possible. I came across this great resource during one my regular online visits to the bushwalking forums , Bushwalk Tasmania and Frank and Sue’s own blog “Our Hiking Blog”. I am from Queensland Australia , and am planning a return trip to do the Overland Track and I have been trying to plan my trip from afar.The logistics of planning my first solo OT trip is rather daunting. I am a fairly experienced through walker, but am still anxious about organising the fine details of such a trip from a long way away.Frank and Sue’s e-Book has been a “godsend”. 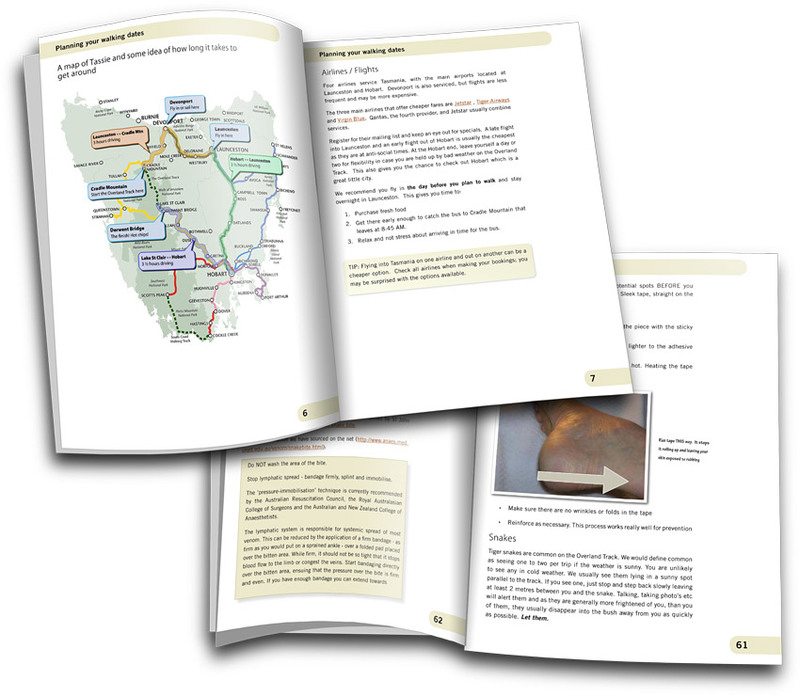 The fine detail of “how,when, where and why” are comprehensively covered and the links within to other associated walking resources are invaluable – something no other hard cover book could even attempt to cover. This one resource will open up an information gateway to a safe and less complicated trip into some of the most spectacular areas in Australia. From which bus to catch there, to what food and gear to take and where to get it in Tassie, is covered. 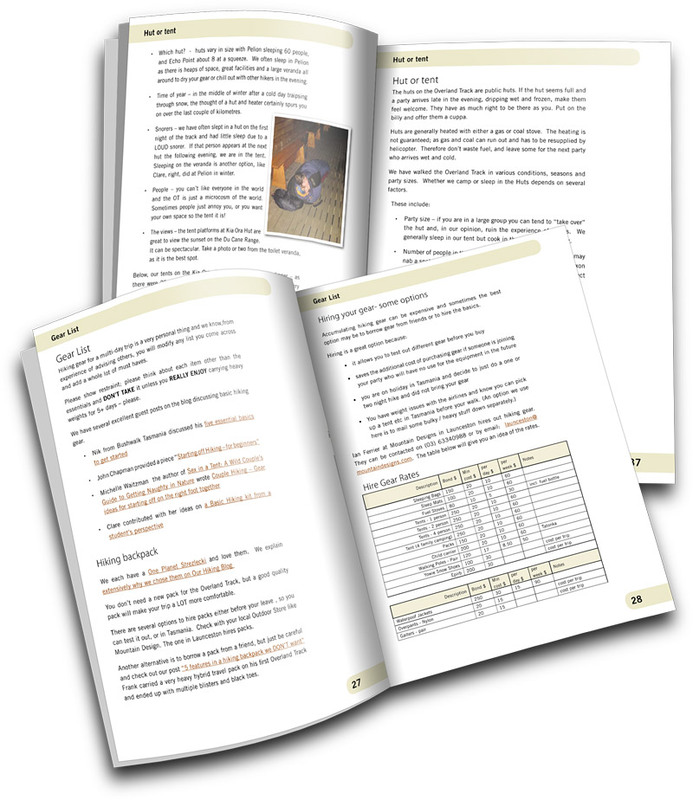 There are many Overland Track resources available (and this e-Book refers you to these ). What is not covered in these other resources are the specific logistics of organising such a trip. Frank also offers his opinion and give his wise advice about a range of OT specific areas and it has assisted me greatly in my planning. Thanks for putting together such a valuable resource. Yes I have purchased your excellent ebook and it’s really been fantastic to have such a resource to plan my trip next month. It’s enabled me to arrange all bookings (Tassielink bus, Centennial hotel, Jetstar, ferry) and of course the permit and pass to undertake the walk. I can certainly see the benefit of flying in the day before and have decided to do so. If you are not satisfied that the Overland Track guide has not helped you have a great trip just let us know and we’ll refund your money in full. That’s how confident we are this resource will help you. The Overland Track guide is ready for your download right now for $A9.99 – to secure your copy simply click the “Download it Now” button below and you’ll be taken to the page where you can make your payment via Paypal or Credit card and get immediate access for download. 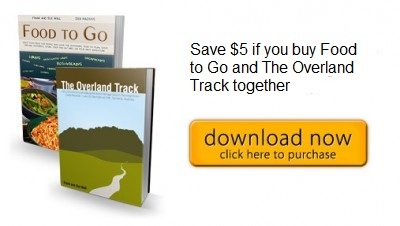 If you are interested in both of our eBooks, the Overland Track guide and Food to Go, we are offering a bundled download , saving $5.00 off the total cost. Food to Go makes a great companion for the Overland Track with huge amount of additional ideas, recipes, tips and tricks to help you eat great food on your adventure. Click below and select the package you require.